Imagine straightening your teeth into a perfect smile, without having to wear metal braces for the next few years. With clear braces from Harris Dental in Phoenix, it is possible. Clear braces by Invisalign have revolutionized orthodontics. Sometimes called invisible braces, they are thin plastic trays, or aligners, that look like an athletes mouth guard. They aren’t really invisible, but they are so clear that most of the people around you won’t even notice you’re wearing them. Clear braces work by gently bringing your teeth into proper alignment. People love them not just because they work, or because they are almost undetectable. They also love them because, unlike metal braces, they are removable. Take them out at mealtimes, and you’ll never have to bother with cleaning bits of food from your braces. Invisalign braces are custom-made for each patient. Specialists use dental impressions, pictures, and x-rays to create them. They are the perfect choice for those who want to re-align their bite, but don’t want the inconvenience of metal braces. For more about Invisalign clear braces, call us at Harris Dental in Phoenix. 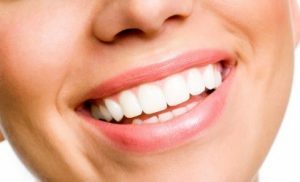 We also provide general and cosmetic dentistry.